Dialogues in Urban and Regional Planning 5 is a selection of some of the best scholarship in urban and regional planning from around the world. The internationally recognized authors of these award-winning papers take up a range of salient issues from the theory and practice of planning. The topics they address include the effects of globalization on world cities, metropolitan planning in France and Australia, and new research in pedestrian and traffic design. The breadth of the topics covered in this book will appeal to all those with an interest in urban and regional planning, providing a springboard for further debate and research. The papers focus particularly on themes of inclusion, urban transformation, metropolitan planning, and urban design. 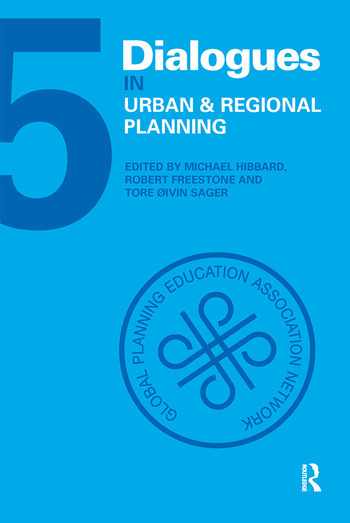 The Dialogues in Urban and Regional Planning (DURP) book series is published in association with the Global Planning Education Association Network (GPEAN) and its member national and transnational planning schools associations. Michael Hibbard (ACSP) is Professor Emeritus in the Department of Planning, Public Policy & Management and the Director of the Institute for Policy Research & Innovation at the University of Oregon, USA. Robert Freestone (ANZAPS) is Professor of Planning in the Faculty of the Built Environment at the University of New South Wales, Australia. Tore Øivin Sager (AESOP) is Professor in the Department of Civil and Transport Engineering at the Norwegian University of Science and Technology, Norway.